Our summer camp is not like any other summer camp your child has ever gone to. Our main focus is to inspire your child and his love of baking and the art of cake decorating. The camp is held at Mia Cake House, comfortably located at 1739 N. University Dr., Plantation -33322. You can sign up your child to one or two sessions. In each session the campers will make different designs. Our camps main focus is to inspire your child to use their imagination and skills and be as creative as possible. Your child should bring lunch and a small morning snack. Each day the children will take home the pastries and sweets they have made. We have a maximum capacity of 24 children for each session. So hurry up and reserve your spot. You can choose up to 2 sessions. If you choose 2 sessions they must be one from week A and one from week B. Each day we will bake and decorate different pastries and treats. Every Friday we have our famous Cupcake Wars competition. 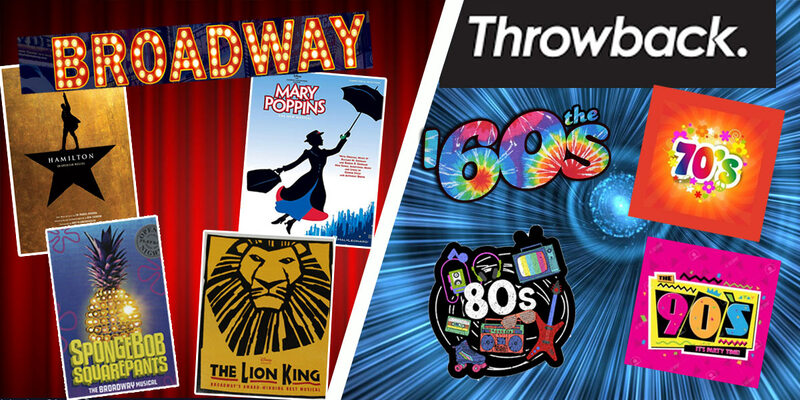 The difference between week A and B is the theme: Week A is Broadway Musicals week and Week B is Throwback Decades week. If the session you want to attend is full, put your name down on our camp waiting list. Plans change, children travel and every summer we get cancellations and reschedules. Be the first one to get availability information when you register to the Summer Camp waiting list. Come with a sibling (must be the same session) to our summer camp and you save $15. Be sure to request the sibling discount on registration to receive the discount. March – April 30: Receive a full refund minus a $25 processing fee per session. May 1st – May 14: Receive a full refund minus a cancellation fee of $95 per session. Starting May 15: No refund issued. You may transfer your child’s tuition and spot to another child, informing Mia Cake House of the transfer. Your child will be sent home if (s)he exhibits any of the following symptoms: high fever (100°F or higher), extremely red eyes, vomiting, diarrhea, sever cough or difficulty breathing. Refunds will not be issued for days missed. (Check with your counselor if volunteering at Mia Cake House can be applied for your service hours).